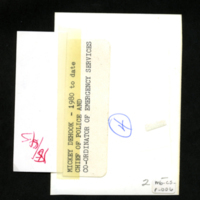 "In 1980, Mickey Dehook replaced Nikkel as Chief of Police. He added new vehicles and better quality radio service. Dehook put his stamp on the police force in a visible way. He purchased new uniforms for all officers, and in 1983-1985, the Hesston Police force was recognized as the best dressed police force by the National Association of Uniform Manufacturing Distributors" (Bandy, 75). 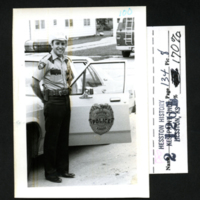 1980, “Mickey Dehook, Chief of police and coordinator of emergency services,” Hesston Public Library, accessed April 25, 2019, https://hesston.digitalsckls.info/item/1359.